Contact us if you are interested in playing in the orchestra. We hope to start rehearsals again in January 2019, and there will be places available in all sections. Click here for contact details. 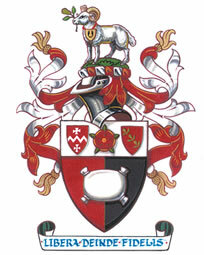 took place on 18th March at 2pm at Moss Lane School. GYO Founded in 1979, the Godalming Youth Orchestra offers young people the experience of playing with others in a good orchestra under a professional conductor. Who? 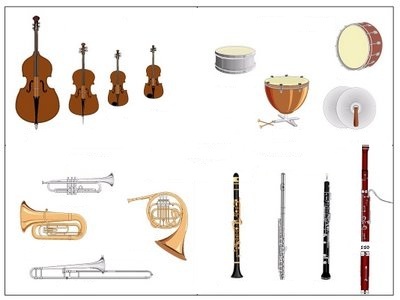 The orchestra is open to orchestral instrument players aged between 8 and 17 who are around grade 4 standard or above. When? Where? We hold rehearsals on Saturday mornings from 9:30 to 10:45 during the Autumn and Spring terms. The rehearsals are held in Moss Lane School in Godalming, just a few minutes from the A3. Why? Learning to play an instrument can be a solitary affair, but learning how to play music with others can be very enjoyable and rewarding. The rehearsals are all about the music, listening to others, watching the conductor, and discovering how to transform the score into a performance by the whole orchestra. What? We play a range of music from the classical repertoire, some in arrangements for youth orchestra, some as originally written. GYO has given first performances of several works written specially for the orchestra and our conductor. At the end of each term, after about ten rehearsals, David Wright conducts the orchestra in a public concert. Our conductor Our conductor David Wright has been with us since 1996. David is Head of Brass at Charterhouse School in Godalming and a professional conductor with a particular reputation for theatre and opera. Under his direction, the rehearsals are entertaining, educational, and enjoyed by all. This is a great introduction to ensemble playing which develops musicality, performance skills and improves sight-reading! Our catchment area Godalming Youth Orchestra players come from a wide area in Surrey, Hampshire and Sussex including Guildford, Woking, Byfleet, Farnborough, Farnham, Hindhead, Haslemere, Petworth, Chiddingfold, Witley, Horsham, Cranleigh, Bramley, Effingham, Cobham, Weybridge and beyond. If you can regularly attend the rehearsals, 10 mins from the A3 in Godalming, then come along!